National Review is a semi-monthly magazine founded by author William F. Buckley Jr. in 1955. Although the print version of the magazine is available online to subscribers, the free content on the website is essentially a separate publication under different editorial direction. The online version, National Review Online, describes itself as "America's most widely read and influential magazine and web site for conservative news, commentary, and opinion." National Review (NR) is a semi-monthly magazine founded by author William F. Buckley Jr. in 1955. Although the print version of the magazine is available online to subscribers, the free content on the website is essentially a separate publication under different editorial direction. 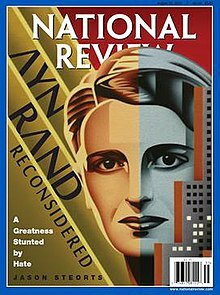 The online version, National Review Online, describes itself as "America's most widely read and influential magazine and web site for conservative news, commentary, and opinion."